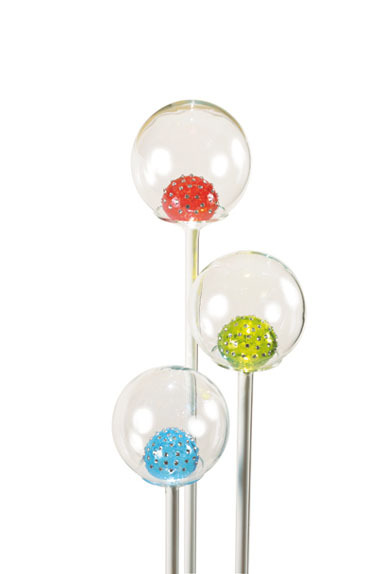 Light - Lamp "Garden of Delights"
"Garden of Earthly Delights" is a glass lamp consists of three rods of different heights, topped with spheres in which are inserted balls colored glass paste blown. Glued to the molten glass, Swarovski crystals sparkle elements ® and add touches of sparkle to all. This lamp is inspired Extravaganza "Garden of Earthly Delights" by Hieronymus Bosch. Temperature 4000 K, 300 lm total white light. Height 162 cm - 21 cm diameter base.